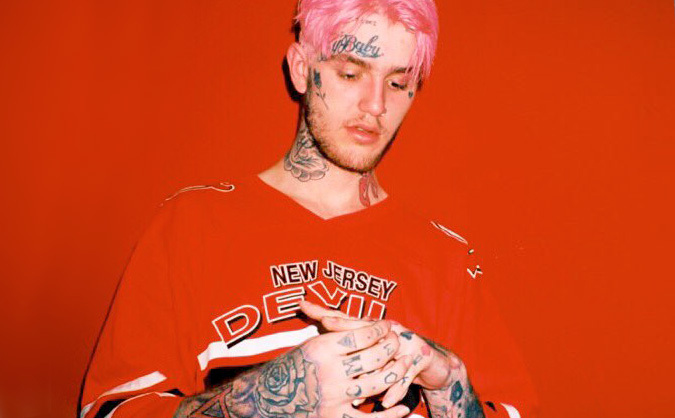 Peep wears his immaturity on his sleeve, which may be part of the reason his music has drawn a clear line between fans of his age demographic and older listeners like Fantano. Suicidal despair is a recurring theme on Hellboy; on ‘OMFG’ (an amusing title in the first place), the rapper sings, “I used to wanna kill myself / Came up, still wanna kill myself” (a lyric which brings to mind a classic Mitch Hedberg quip: “I used to do drugs. I still do, but I used to, too”). The theme is not new to hip hop – even Biggie had ‘Suicidal Thoughts.’ But where Biggie lamented “crime after crime, from drugs to extortion,” Peep’s despair is rooted in romanticized teen drama (“I’ve been waiting here all damn night, not one call or text from you”). That kind of adolescent angst is what the younger generation calls emo. One reviewer praised Peep, saying “He is literally genre bending hip-hop and emo music…. Lil Peep just seems like a sad teenager who has been through a lot and has a lot to say.” Evoking the term ’emo’ makes you wonder how connected Lil Peep’s music actually is to the musical genre pioneered by artists like Sunny Day Real Estate (who wrote the greatest emo album of all time, according to Rolling Stone). Peep’s mixtape begins with dreary guitars, and is packed with angst, but the question is barely relevant: his generation often uses the word emo simply to describe a melancholy attitude. Lil Peep may have some growing up to do, and his music will sound alienating and silly to some listeners. But that’s okay. The music of young people is supposed to be like that sometimes.